If you don’t know where you are going, any road will do. Although it may seem improbable, knowing how much cash you will have twelve months from now can be highly predictable using CPrint Budgets. Don’t worry, it’s not painful. CPrint Budgets are a mainstay of the CPrint program. We meet online and create your budget. You provide us with information and we put it into form so it’s almost like magic. At least it’s a less painful than doing it by yourself. Don’t like the projected outcome? Well, that’s the point. This process predicts your financial future so you may make changes now before it’s too late. Once the budget is done, then you send in your financials and we compare with your budget and give you a full comparison report. This was the plan (budget) and this is where you are (actual). Comparing the two shows the variance which may require action. And that’s the way you steer your ship with the help of CPrint. It’s really no more difficult than that and it helps you drive your business using financial facts, not feelings. And it helps keep your financial information timely which is another good reason to participate in the CPrint program. This budget report makes a fine compliment to our Coaching and Boards. Take-Aways: a cash-flow budget and monthly comparison. Program is for six months; then you may opt-out with a sixty day notice. 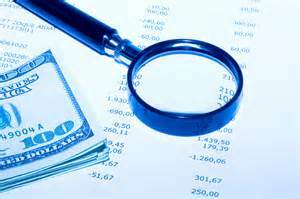 Payback: Can be immediate depending upon the cash situation and depending on your issues and circumstances. Delivery: online meeting for establishment of budget; monthly comparisons, email and telephone support as needed. 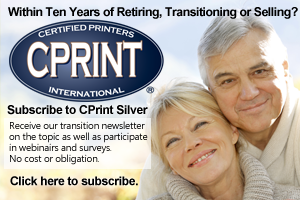 Commitment Period: sign up now for this unique printing-specific business service and your commitment period is only six months with a sixty-day opt-out. Recommended For: this report is excellent for businesses with family members in business or with inactive business partners, as well as other situations where there may be a need to monitor monthly activities. Please message Tom Crouser at tom@cprint.com for a no-cost or obligation initial consultation and recommendation.